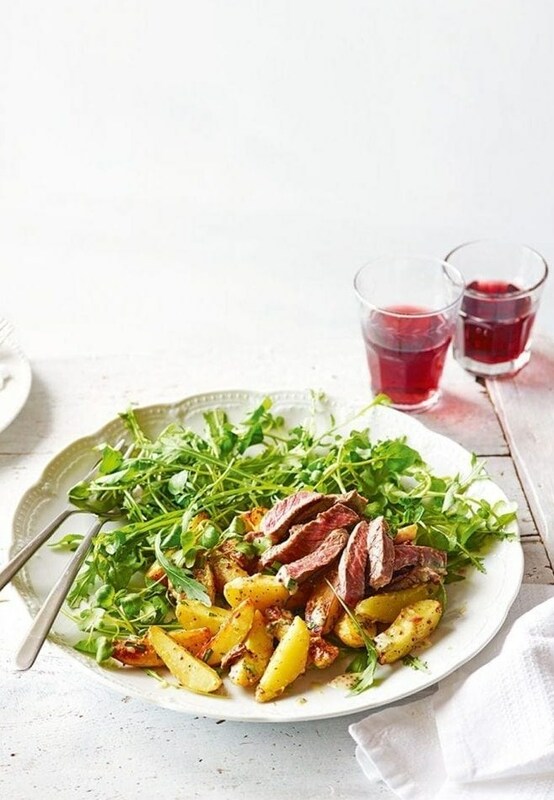 Creamy béarnaise drizzled over tender steak is a great choice for a mid-week supper. Rustle up this British favourite for your next meal. Meanwhile, heat a griddle pan over a high heat until smoking hot. Lightly oil the steaks and season well all over. Griddle for 2_ minutes on each side for medium-rare, or 3 minutes on each side for medium. Remove from the pan and set aside to rest for 5 minutes. Mix the dressing ingredients in a small bowl until well combined. To serve, toss the leaves and the potatoes with the dressing, then slice the steaks and lay them on top.